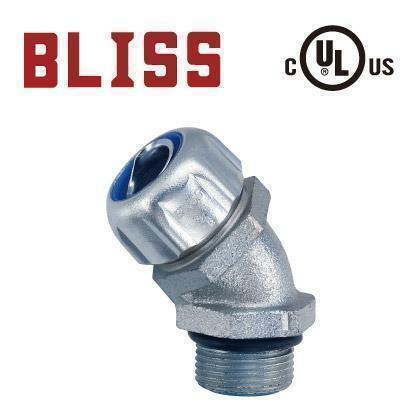 Type N2161 addresses your needs of both PG thread and 45 degree liquid-tight conduit connector. Finished with O ring and insulating liner (type no. N21610309 no insulating liner). 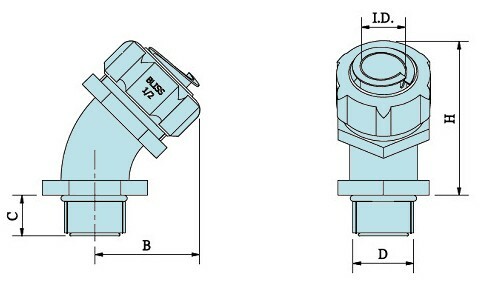 According to NEC 350.6, our UL listed connectors collocated with UL listed liquid tight flexible metal conduits are applicable to hazardous (classified) location CID2; CIID1,D2; CIIID1,D2.